It's our final Thanksgiving with the Hecks, this one featuring a road trip. 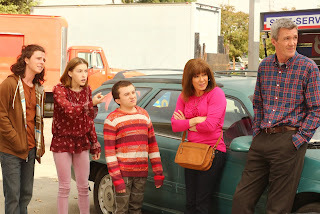 The family spends most of the episode this week on their way to Frankie's sister's house. On the way, a variety of things happen. Mike decides to pay the toll of the next car at a toll booth, but the family in the other car doesn't acknowledge them. Then, they run low on gas, and discover that they have no way to pay for the gas. Throughout all of this, there are a lot of funny lines, all in a very Heck sort of style. When they get stuck in traffic, Frankie realizes that they aren't going to make it to Thanksgiving dinner, which ends up leading to a bunch of strangers sharing their Thanksgiving dinners. It's a sweet ending, and very much in the style of the holiday. The Heck kids are all working at Spudsy's now, which is the kind of idea that would be sure to generate a lot of comedic material, but it isn't lasting long, as only two of them are needed, and they need to decide which one is out. Their bickering about this in the car is very entertaining, and Frankie's refusal to take sides while Mike decides that Brick should be the one to go is reminiscent of the fourth season premiere, "Last Whiff of Summer", when Frankie didn't pick a favorite child, but Mike does. After Axl secures a spot by getting the family tips from a Spudsy's, it's between Sue and Brick. Brick ends up letting Sue keep the job, realizing how much it means to her, and for another, very funny reason: he keeps licking the potatoes. 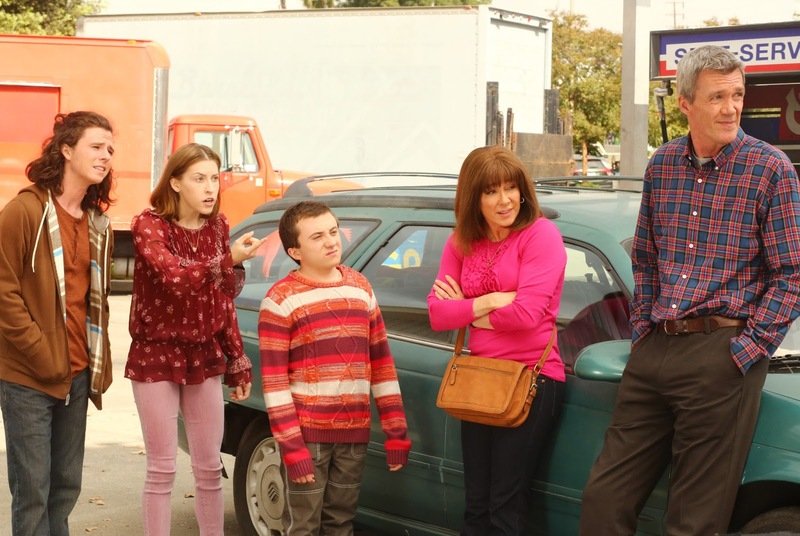 The Middle delivered a strong final Thanksgiving episode, with both a lot of humor and a sweet ending. Also, a lot of the humor came out of the entire family being together, which was great. What did you think of "Thanksgiving IX"? Leave your thoughts in the comments!